Belstaff has a rich and interesting history. The company was originally set up in 1924 by Eli Belovitch. Based in Longton just outside Stoke on Trent, the company's name came from the first three letters of Eli’s surname and the first four letters of the county in which the business was situated. In the years leading up to the war, Belstaff produced outdoor clothing for a wide range of users. As with Barbour, Belstaff became a recognised supplier of outerwear for motorcyclists and car drivers alike. It was in 1948 that Belstaff first produced its iconic, four-pocket, belted, wax cotton jacket, the Belstaff Trialmaster. Just a few years later, the company released its Black Prince, PVC, one-piece suit. In the 1960s and seventies, Belstaff was a highly successful business. But it was very much a working man’s brand that, in truth, lacked the cachet of key rival Barbour. 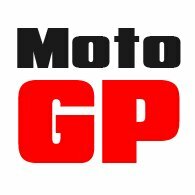 But with a trajectory that perhaps mirrors that of the British motorcycle industry itself, a lack of innovation and investment saw the brand decline, as more interesting and technical offerings from Europe caught the eye of motorcyclists. In the 1990s, one of the few strong markets for Belstaff was Italy, where the entrepreneurial importer Franco Melanotti understood the classic appeal of the brand. By the end of the century, however, Belstaff had declined to a point where it was no longer really a viable business, but it was rescued by Melanotti who had a vision to put Belstaff back on the world stage. And so the business moved into Italian hands. What Melanotti achieved, from a marketing perspective, was quite remarkable. With his two sons, he embarked upon a campaign to get Belstaff worn by celebrities, actors and A-listers alike. Over the coming years, George Clooney, Brad Pitt, Will Smith, Tom Cruise, Di Caprio and many others wore Belstaff jackets; both on set and off. Whilst a Kate Moss advertising campaign demonstrated that a Belstaff jacket could be chic as well as cool. 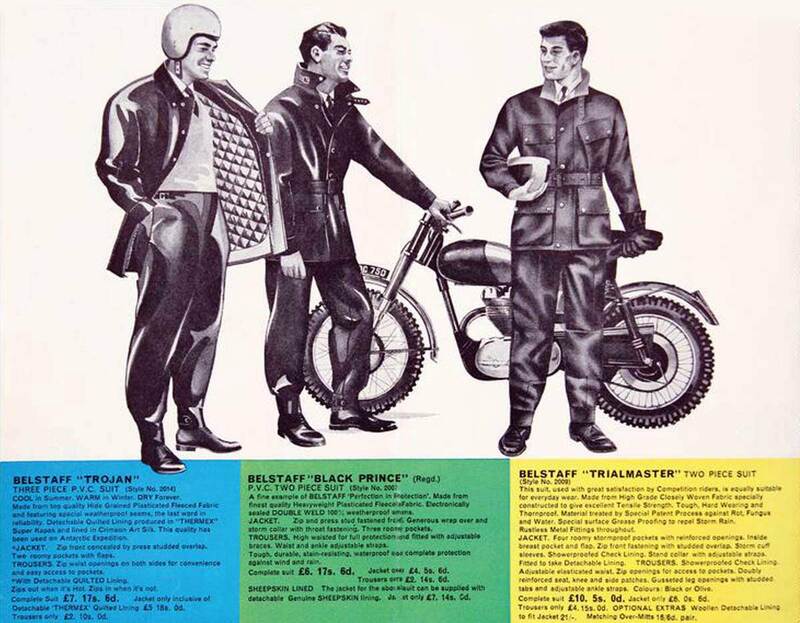 In the early part of the new century, the rise of Belstaff was quite extraordinary, but Melanotti was, first and foremost, a biker and so he put an equal effort into reviving Belstaff as a brand that real bikes would want to wear. Of course, he realized that Belstaff would never be a racing brand, and he understood the nostalgic appeal of the Belstaff name. 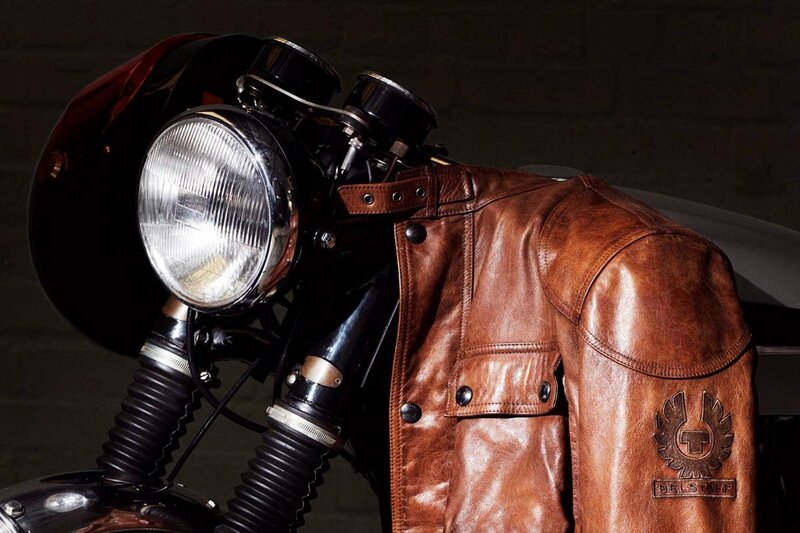 So he created a range of jackets that paid homage to the golden era of motorcycling, when people such as McQueen, Che Guevara, TE Lawrence and Sammy Miller routinely wore Belstaff on their adventures. But in doing so he raised the bar, turning the gear into properly protective motorcycling wear. He was one of the first to work with D30 on body armour, and instead of relying on the waxy cotton for waterproofing, he fitted fully seam-sealed membranes into the jackets. 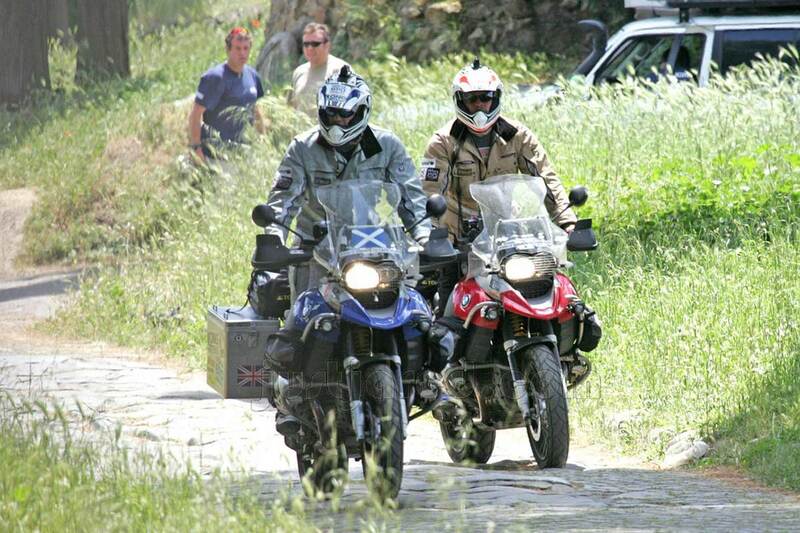 So whilst he transformed Belstaff from a somewhat ordinary and utilitarian brand into one of the coolest names in motorcycling, he also turned the products into the kind of proper, credible biking gear that was good enough for the likes of Ewan McGregor and Charley Boorman to wear on their round-the-world trip. One thing that has not changed too significantly over the years is Belstaff’s styling. The Belstaff Trialmaster, sometimes known as the Belstaff Tourist Trophy, jacket still sits at the heart of the collection. 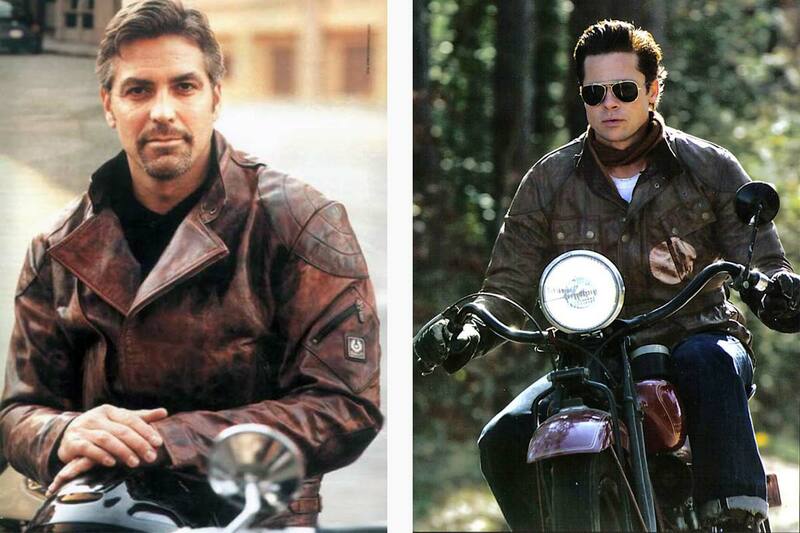 It is as famous and timeless as a motorcycle jacket gets. The other equally iconic jacket is the shorter, blouson-style jacket that is known as the Belstaff Mojave, or Belstaff Brooklands, jacket. It is a close copy of the kind of jacket that McQueen often wore when racing in the deserts of Southern California. In 2011, the Belstaff company was sold to the Swiss based group Labelux, but more recently the company returned to British hands as part of Jim Ratcliffe’s Ineos empire. Whatever happens, Belstaff has earned for itself an enviable reputation. The brand has injected a dose of style into the motorcycle market, and has played a significant part in making motorcycling cool again. But it has done so in a way that has served only to bolster its reputation amongst genuine bikers. 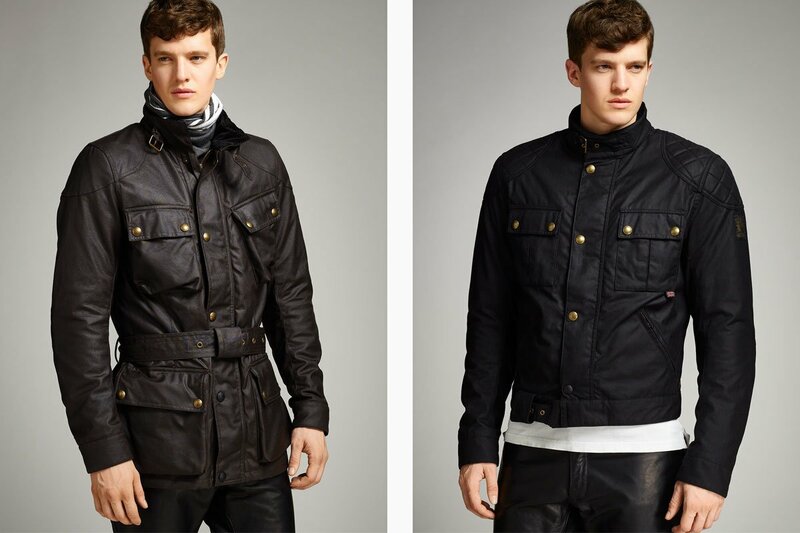 The Belstaff product of today is far superior in every respect to the Belstaff of old.